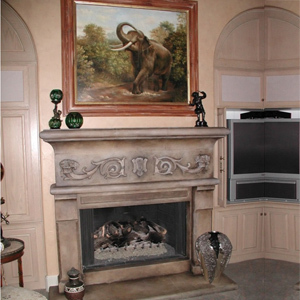 American Masonry Supply, Inc. is an industry leading manufacturer of architectural cast stone, cast stone mantels, ornamental plaster, glass fiber reinforced concrete (GFRC), decorative resin and plaster moldings. 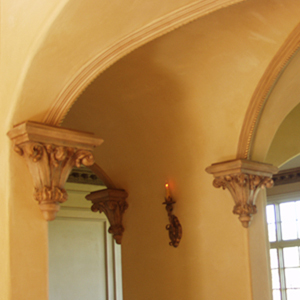 AMS's architectural cast stone includes products such as cast stone columns, cast stone balustrade, cast stone entry ways, finials, and much more. 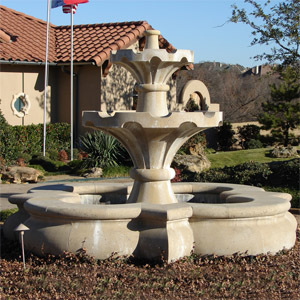 With an extensive collection of elegantly hand crafted cast stone moulds and expertise in field of design, carving, and production AMS is able to consistently provide quality, clarity, detail, durability and beauty to every cast stone project. 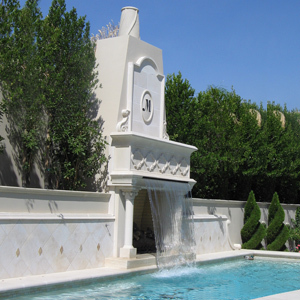 AMS cast stone, plaster, GFRC and resin products are utilized in both residential and commercial projects, from elegant chateaus to museums, stadiums, universities and places of worship. 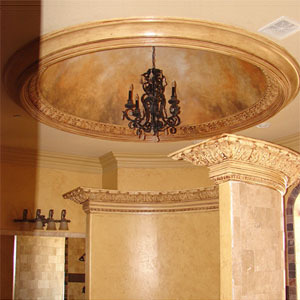 AMS works closely with architects, designers, general contractors and homeowners to insure that your project is architecturally correct and beautiful. 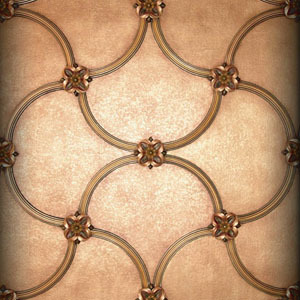 Request a catalog for a portfolio catalog of recent projects. The AMS Building - Arlington, TX. 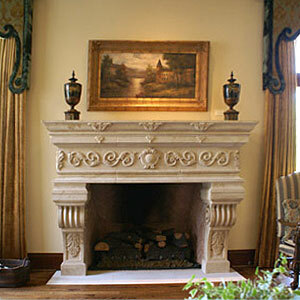 Cast stone mantels, cast stone balustrade, cast stone columns, and much much more at American Masonry Supply. Located in the center of the Dallas-Forth Worth metroplex, within a 150,000 square-foot facility on 8.5 acres, AMS currently features an 11,000 square-foot cast stone and plaster Showroom, an advanced AutoCAD Drafting Studio, as well as numerous Project Planning and Conference areas. 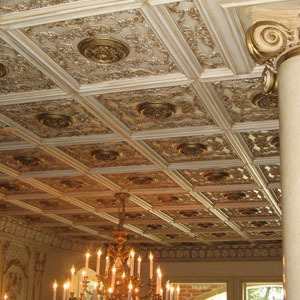 AMS constantly strives to improve its techniques, processes, and materials to insure the highest overall quality to our customers. 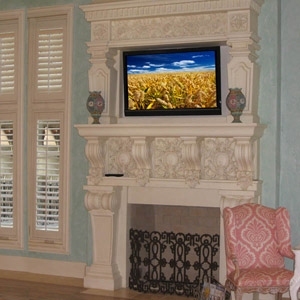 AMS maintains a state-of-the-art mould shop, carving department, layout areas, cast stone production lines, plaster production lines, GFRC and resin production lines, and a custom packing and shipping department to better serve the growing needs of our customers. 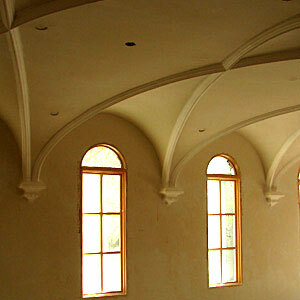 Dear AMS, I want to tell you how pleased I am with American Masonry Supply. 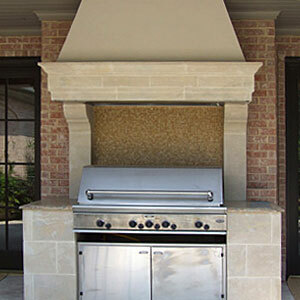 I have used a lot of cut stone as compared to cast stone in the last eight years and your product is outstanding. 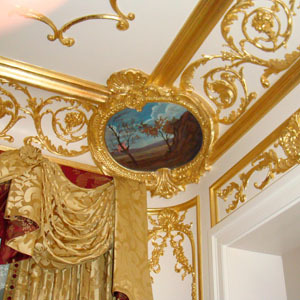 The time frame that we received things after we ordered it was great and there was no damage. 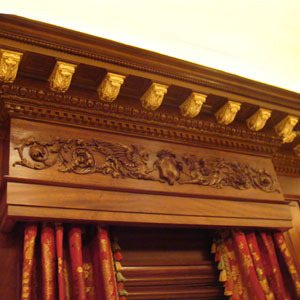 We had some difficulty with the detailed pieces you came out and worked with the mason to set them in place. These are the things that make a good company a great company and AMS. seems to be a great company. I would highly recommend you and your company to anyone who ask. Thanks!